Will you have to pay a tax penalty for not having health insurance? How much is the health insurance penalty? Which costs less: paying the tax penalty or buying health insurance? One of the more controversial parts of the Affordable Care Act is the individual mandate that requires Americans to have health insurance. Although a small number of Americans are exempt from the requirement to have health insurance coverage, the rest of us face a penalty, the shared responsibility payment, if we are uninsured. The future of the ACA—including the shared responsibility penalty—is uncertain, but Republican lawmakers' repeated efforts throughout 2017 to repeal the ACA were unsuccessful. As of late 2017, the ACA, in its entirety, remains intact. President Trump's first executive order instructed federal agencies to be as lenient as possible when enforcing the ACA's taxes and penalties. As a result, the IRS announced in February 2017 that they would not reject 2016 tax returns that didn't answer the question about health insurance coverage (line 61 of Form 1040). They reserved the right to follow up with filers who don't answer the question, but the returns were not rejected outright (note that it's illegal to lie to the IRS in any circumstance; you can't state that you had coverage if you didn't). However, starting with the 2018 tax filing season (for 2017 returns), the IRS will no longer accept tax returns that don't answer the question about health insurance coverage. All filers will have to indicate whether or not they had coverage, keeping in mind, as always, that it is illegal to lie to the IRS. Each state has a Health Insurance Exchange to help people find insurance, and premium subsidies are available to help many individuals pay for health insurance (subsidy eligibility extends up to 400 percent of the poverty level, which is $48,240 for a single individual in 2018, and $98,400 for a family of four). But, if you are accustomed to going without health insurance and do not qualify for a subsidy, you have to squeeze the cost of health insurance into your budget or pay the individual mandate penalty. If you’re thinking about going without health insurance in hopes of saving money, the cost of the penalty will eat into your savings. Knowing the amount of the penalty can help you budget for it. If you're trying to calculate the penalty for a family rather than an individual, learn how here. First, take a look at the Individual Mandate Penalty Table below. After looking at the table, read on to learn how to use it correctly, so you don't pay too much. The penalty you’ll pay is either a fixed minimum amount or a percentage of your overall income. Using the table, calculate the penalty as a percentage of your income first. Then, compare that to the minimum health insurance penalty for that year. Your individual mandate penalty will be the larger of the two. The filing threshold is the amount of income that requires you to file a tax return. People with incomes below the filing threshold don’t have to file an income tax return; those with incomes above the threshold must file. The filing threshold for 2017 is $10,400 for single filers and $20,800 for married couples filing jointly. You can get the filing thresholds for other years and for other filing statuses from publication 501 at the IRS forms and publications page. Did you have health insurance for part of the year? Only pay the penalty for the months you went without health insurance. For example, if you went without health insurance for seven months of the year, you would only pay seven-twelfths of the yearly health insurance penalty. Do you have a large penalty? The penalty amount is capped at the national average cost of a bronze-tier health insurance plan for that year. This amount changes every year, so the IRS announces each year's new average figure several months before people start preparing their tax returns. For your 2017 taxes (filed in early 2018), the amount is $272 per month or $3,264 per year for a single individual (for a family of five or more, the maximum is $16,320). Stan’s income - filing threshold for single filers = portion of Stan’s income used to calculate the penalty. The portion of Stan’s income used to calculate the penalty X the penalty percentage for 2017 which is 2.5% or 0.025 = Stan’s percentage-of-income penalty. Check the table. Compare the minimum penalty for 2016 with the percentage-of-income penalty you just calculated, and Stan’s individual mandate penalty will be the bigger of the two. Since $865 is larger than the minimum health insurance penalty of $695 for 2017, Stan will have to pay a penalty of $865 when he files his taxes in early 2018. Stan's penalty was less than the national average cost of a bronze-tier health insurance plan, $3,264, so that penalty cap doesn't affect Stan's penalty amount. Stan’s employer offered health insurance that would have cost Stan less than 9.69% of his income, which means his employer is in compliance with the ACA's employer mandate, since the coverage would have cost Stan less than 9.69 percent of his income (this percentage can also be adjusted annually; it has increased gradually since 2014 but is also decreasing slightly for 2018). Tip: If you can’t remember how to work with percentage calculations, here’s a percentage calculator. Mary’s income in 2017 - filing threshold for single filers = portion of Mary’s income used to calculate the penalty. The portion of Mary’s income used to calculate the penalty X the penalty percentage for 2017 which is 2.5% or 0.025 = Mary’s percentage-of-income penalty. Check the table and choose the larger of the two penalties. The minimum penalty for 2017 is $695. Since that's less than Mary’s percentage-of-income penalty of $1,615, Mary will be assessed the larger, percentage-of-income penalty. Mary only has to pay eight-twelfths of the penalty ($1,076.67) since she was only uninsured for eight months. $272 X 8 months = $2,176. Mary's penalty is capped at the national average cost of eight months of bronze-tier health insurance. Since Mary's percentage-of-income penalty for eight months, $1,076.67 is less than the 8-month cap of $2,176, the cap won't lower her penalty amount. Mary will have to pay an individual mandate penalty of $1076.67 when she filed her taxes in the spring of 2018. If either Mary or Stan had calculated penalty amounts that were bigger than the national average cost of a bronze-tier health plan, their penalty would have maxed out at the national average cost of a bronze-tier health plan. If you're paying the penalty because you were uninsured last year, you likely paid out-of-pocket for your medical expenses. 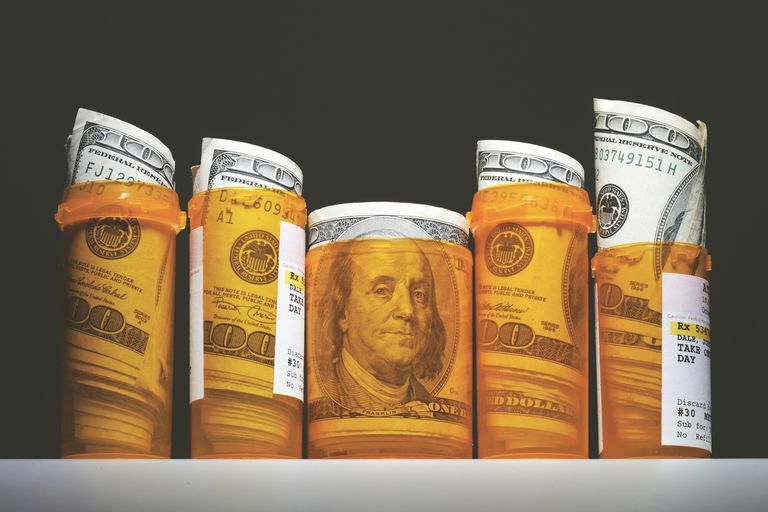 In some cases, health care expenses you paid can be used as a tax deduction on your federal income taxes, but your medical spending would have to exceed 10 percent of your income before that deduction would kick in. US Code 2011, Title 26, subtitle D, Chapter 48, sec5000A. IRS: Questions and Answers on the Individual Shared Responsibility Provision. IRS: Individual Shared Responsibility Provision—Reporting and Calculating the Payment. Health Insurance Exemption Criteria—Can You Avoid the Penalty? Was There Still an Obamacare Penalty for Being Uninsured in 2018? What's a Shared Responsibility Payment?